The legacy of English teaching and Christian missionaries is a flashpoint within the field of English language teaching. 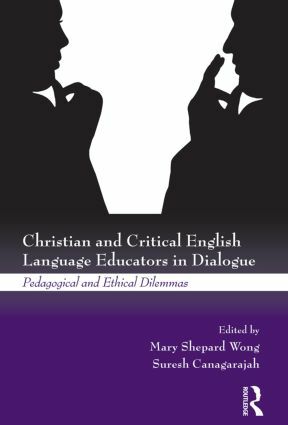 This critical examination of the place of Christianity in the field is unique in presenting the voices of TESOL professionals from a wide range of religious and spiritual perspectives. About half identify themselves as "Christian" while the others identify themselves as Buddhist, atheist, spiritualist, and variations of these and other faiths. What is common for all the authors is their belief that values have an important place in the classroom. What they disagree on is whether and how spiritual values should find expression in learning and teaching. This volume dramatizes how scholars in the profession wrestle with ideological, pedagogical, and spiritual dilemmas as they seek to understand the place of faith in education. To sustain this conversation, the book is structured dialogically. Each section includes a set of position chapters in which authors explain their views of faith/pedagogy integration, a set of chapters by authors responding to these positions while articulating their own views on the subject, and discussion questions to engage readers in comparing the positions of all the authors, reflecting on their own experiences and values, and advancing the dialogue in fresh and personal directions. Christian English Teachers’ Presence: Reflecting Constantine or Christ? Caught between Poststructuralist Relativism and Materialism or Liberal and Critical Multiculturalism?